Sell your book at Amazon, Barnes & Noble, Powell’s Books and more. Being able to sell your printed books in stores is great, but being able to sell them in the biggest bookstores all over the world is the dream of every writer! And that’s just what BookBaby delivers with our Print On Demand book distribution services. Make sure your book is everywhere your readers are, plus everywhere you want them to be. What is Print On Demand book distribution? With traditional publishing a publisher prints thousands of copies of a book and sells them to stores and distributors. Our on demand printing and book distribution service means that we only print a book when a retailer or wholesaler orders it. This enables you to sell your book in thousands of stores with minimum upfront costs and no warehousing. Just add $299 to any printed book order of 25+ books. Where can you sell your book? Your one-stop-shop to sell both eBooks and printed books straight to readers. Your hardcover or softcover book will be for sale on Amazon, the largest online retailer in the world, alongside literary classics and bestselling authors. Barnes & Noble is the largest retail bookseller in the United States, with over 650 bookstores throughout the country, plus 700 college bookstores. Based in Portland, Oregon, Powell’s Books is the largest independent used and new bookstore in the world. Books-A-Million is the second largest book retailer in the nation and also sells on the internet at booksamillion.com. The Company presently operates over 250 stores in 31 states and the District of Columbia. As the world’s largest distributor of books, Ingram can get your book into practically any store, making your book available for sale in over 39,000 online retailers. Baker & Taylor distributes books to more than 36,000 libraries, institutions and retailers in more than 120 countries. Affiliated with The National Association of College Stores, NACSCORP will make your books available to over 3,400 college stores. CBD is the largest Christian catalog/Internet company in the world, sending out over 65 mailings of unique catalogs to millions of customers each year. Your book will be available for Christian Book Distributors to order and sell on Christianbook.com where customers have access to a premier selection of Christian products —over 300,000 books, Bibles, DVDs, CDs, gifts, toys, games, and more. A full-service wholesaler that distributes to thousands of bookstores and libraries throughout the U.S. and around the world. Diamond is the world’s largest distributor of English-language comics, graphic novels and pop-culture related merchandise. A wholesale distributor that specializes in distributing all types of books, toys, games, and more, servicing companies large and small throughout the US Midwest. Why do I need BOTH eBook distribution and Print On Demand distribution? BookBaby has two different book distribution networks. In addition to selling printed books (Print On Demand), BookBaby eBook distribution allows you to publish and sell your book digitally, through the largest eBook stores online, for eReader devices such as Kindle, iPad, and Nook. There is some crossover between these networks. 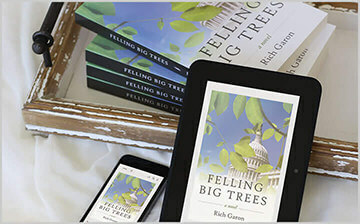 For many of the biggest bookstores like Amazon and Barnes & Noble, readers will be able to purchase either the eBook or the printed version, whichever book format they desire — one of the benefits of making your book available on both networks. If you want to sell both eBooks and printed books, thanks to BookBaby’s combined distribution networks, your book can be available in over 100 stores, worldwide! How does printed book distribution work? Add POD distribution to any bulk printing order of 25 or more books. Upload your cover and text PDF files. Enter the retail price of your book. This is the price that your title will sell for in the retail stores. Complete POD distribution survey. This is where you will provide us with the details of your book including your author bio, title description and metadata. BookBaby prepares your files for print and sets up your title in our distribution system. In about 3-4 weeks your titles will begin to appear for ordering at online retailers and to our wholesale distribution network. BookBaby prints the books to the demand of the retailer and fulfills the order back to the retailer who turns around and fulfills the order to their buyer. Payment is received from the retailers and added to your BookBaby distribution account. We offer check, PayPal, ACH payment options within the US. We offer PayPal, Payoneer, and physical check for international payments. You can select your preferred payment method in your accounting dashboard.